Mid-Century Modern style partnered with everyday functionality create the design scheme for this sofa table. Featuring two drawers and a floating shelf, this piece helps keep your living space clutter free. Its mod design brings a stately presence, perfect for adding sophistication to any living space. 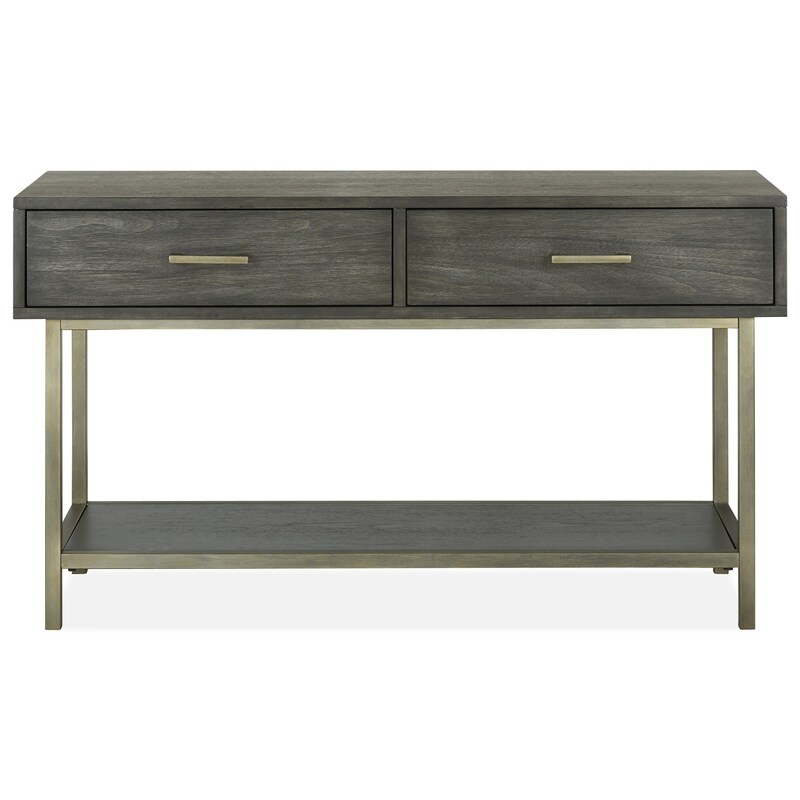 The Fulton MH Mid-Century Modern Sofa Table with Two Drawers by Magnussen Home at Sam Levitz Furniture in the Tucson, Oro Valley, Marana, Vail, and Green Valley, AZ area. Product availability may vary. Contact us for the most current availability on this product. The Fulton MH collection is a great option if you are looking for Mid-Century Modern furniture in the Tucson, Oro Valley, Marana, Vail, and Green Valley, AZ area. Browse other items in the Fulton MH collection from Sam Levitz Furniture in the Tucson, Oro Valley, Marana, Vail, and Green Valley, AZ area.